Lewis and fellow novelist J. R. R. Tolkien were close friends. 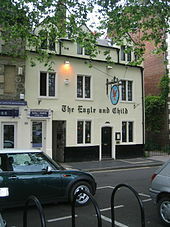 They both served on the English faculty at Oxford University, and were active in the informal Oxford literary group known as the Inklings. According to Lewis's memoir Surprised by Joy, he was baptised in the Church of Ireland, but fell away from his faith during adolescence. Lewis returned to Anglicanism at the age of 32, owing to the influence of Tolkien and other friends, and he became an "ordinary layman of the Church of England". Lewis's faith profoundly affected his work, and his wartime radio broadcasts on the subject of Christianity brought him wide acclaim. Clive Staples Lewis was born in Belfast, Ireland, on 29 November 1898. His father was Albert James Lewis (1863–1929), a solicitor whose father Richard had come to Ireland from Wales during the mid-19th century. His mother was Florence Augusta Lewis, née Hamilton (1862–1908), known as Flora, the daughter of a Church of Ireland priest, and great grand-daughter of both Bishop Hugh Hamilton and John Staples. He had an elder brother, Warren Hamilton Lewis (known as "Warnie"). Lewis was schooled by private tutors until age 9, when his mother died in 1908 from cancer. His father then sent him to live and study at Wynyard School in Watford, Hertfordshire. Lewis's brother had enrolled there three years previously. The school was closed not long afterwards due to a lack of pupils; the headmaster Robert "Oldie" Capron was soon after committed to a psychiatric hospital. Lewis then attended Campbell College in the east of Belfast about a mile from his home, but left after a few months due to respiratory problems. He was then sent to the health-resort town of Malvern, Worcestershire, where he attended the preparatory school Cherbourg House, which Lewis calls "Chartres" in his autobiography. It was during this time that Lewis abandoned his childhood Christian faith and became an atheist, becoming interested in mythology and the occult. In September 1913, Lewis enrolled at Malvern College, where he remained until the following June. He found the school socially competitive. After leaving Malvern, he studied privately with William T. Kirkpatrick, his father's old tutor and former headmaster of Lurgan College. As a teenager, Lewis was wonder-struck by the songs and legends of what he called Northernness, the ancient literature of Scandinavia preserved in the Icelandic sagas. These legends intensified an inner longing that he would later call "joy". He also grew to love nature; its beauty reminded him of the stories of the North, and the stories of the North reminded him of the beauties of nature. His teenage writings moved away from the tales of Boxen, and he began using different art forms, such as epic poetry and opera, to try to capture his new-found interest in Norse mythology and the natural world. Studying with Kirkpatrick ("The Great Knock", as Lewis afterwards called him) instilled in him a love of Greek literature and mythology and sharpened his debate and reasoning skills. In 1916, Lewis was awarded a scholarship at University College, Oxford. Within months of entering Oxford, the British Army shipped him to France to fight in the First World War. In one of his letters, Lewis cited that his experience of the horror of war, along with the loss of his mother and his unhappiness in school, were the bases of his pessimism and atheism. 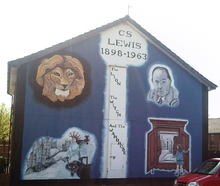 Various critics have suggested that it was Lewis's dismay over sectarian conflict in his native Belfast which led him to eventually adopt such an ecumenical brand of Christianity. As one critic has said, Lewis "repeatedly extolled the virtues of all branches of the Christian faith, emphasising a need for unity among Christians around what the Catholic writer G. K. Chesterton called 'Mere Christianity', the core doctrinal beliefs that all denominations share". 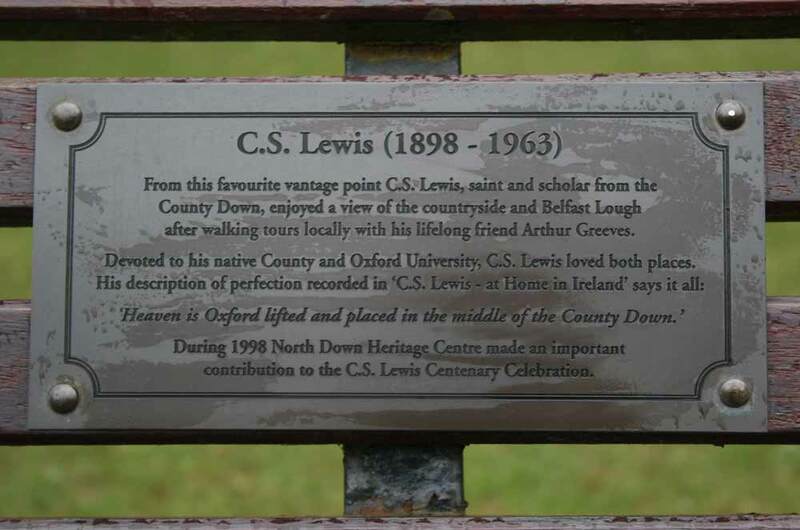 On the other hand, Paul Stevens of the University of Toronto has written that "Lewis's mere Christianity masked many of the political prejudices of an old-fashioned Ulster Protestant, a native of middle-class Belfast for whom British withdrawal from Northern Ireland even in the 1950s and 1960s was unthinkable." In 1930, Lewis moved into "The Kilns" with his brother Warnie, Mrs. Moore, and her daughter Maureen. The Kilns was a house in the district of Headington Quarry on the outskirts of Oxford, now part of the suburb of Risinghurst. They all contributed financially to the purchase of the house, which passed to Maureen, who by then was Dame Maureen Dunbar, when Warren died in 1973. Lewis was commissioned to write the volume English Literature in the Sixteenth Century (Excluding Drama) for the Oxford History of English Literature, as well as several prefaces to works of literature and poetry, such as Layamon's Brut. His book "A Preface to Paradise Lost" is still one of the most valuable criticisms of that work. His last academic work, The Discarded Image: An Introduction to Medieval and Renaissance Literature (1964), is a summary of the medieval world view, a reference to the "discarded image" of the cosmos. Lewis was very interested in presenting a reasonable case for Christianity. Mere Christianity, The Problem of Pain, and Miracles were all concerned, to one degree or another, with refuting popular objections to Christianity, such as the question, "How could a good God allow pain to exist in the world?" He also became a popular lecturer and broadcaster, and some of his writing originated as scripts for radio talks or lectures (including much of Mere Christianity). According to George Sayer, losing a 1948 debate with Elizabeth Anscombe, also a Christian, led Lewis to re-evaluate his role as an apologist, and his future works concentrated on devotional literature and children's books. Anscombe had a completely different recollection of the debate's outcome and its emotional effect on Lewis. Victor Reppert also disputes Sayer, listing some of Lewis's post-1948 apologetic publications, including the second and revised edition of his Miracles in 1960, in which Lewis addressed Anscombe's criticism. Noteworthy too is Roger Teichman's suggestion in The Philosophy of Elizabeth Anscombe that the intellectual impact of Anscombe's paper on Lewis's philosophical self-confidence should not be over-rated: "... it seems unlikely that he felt as irretrievably crushed as some of his acquaintances have made out; the episode is probably an inflated legend, in the same category as the affair of Wittgenstein's Poker. 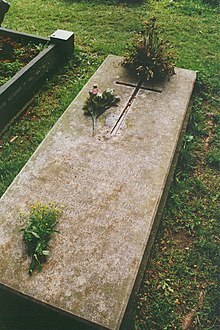 Certainly Anscombe herself believed that Lewis's argument, though flawed, was getting at something very important; she thought that this came out more in the improved version of it that Lewis presented in a subsequent edition of Miracles – though that version also had 'much to criticize in it'." One of the main theses in Lewis's apologia is that there is a common morality known throughout humanity, which he calls "natural law". In the first five chapters of Mere Christianity Lewis discusses the idea that people have a standard of behaviour to which they expect people to adhere. Lewis claims that people all over the earth know what this law is and when they break it. He goes on to claim that there must be someone or something behind such a universal set of principles. Lewis has been the subject of several biographies, a few of which were written by close friends, such as Roger Lancelyn Green and George Sayer. In 1985, the screenplay Shadowlands by William Nicholson dramatised Lewis's life and relationship with Joy Davidman Gresham. It was aired on British television starring Joss Ackland and Claire Bloom. This was also staged as a theatre play starring Nigel Hawthorne in 1989, and made into the 1993 feature film Shadowlands starring Anthony Hopkins and Debra Winger. 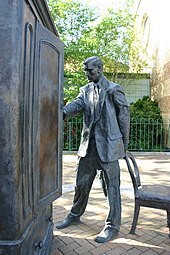 In 2005, a one-hour television movie entitled C. S. Lewis: Beyond Narnia provided a general synopsis of Lewis's life, starring Anton Rodgers. What's the good word on C. S. Lewis?